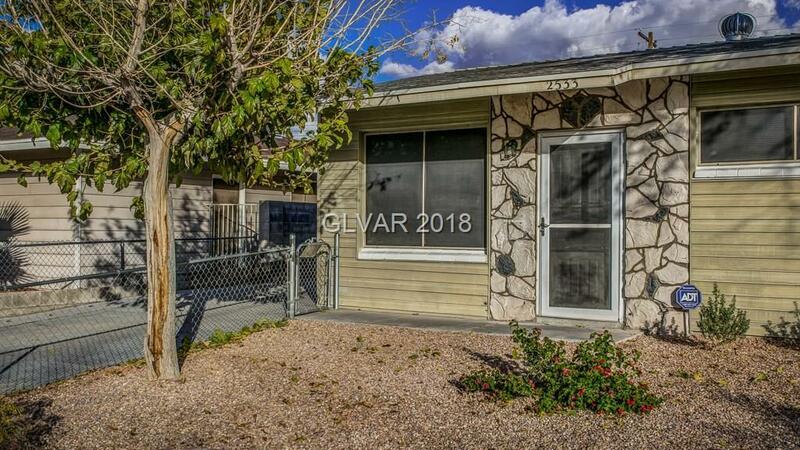 Charming 3 bedroom 2 bath on large 6,970+/- sq ft fully fenced yard. Rear room with private entrance can be 4th bedroom/study/art studio, etc. New Air Conditioner! New landscaping front and rear yard for easy maintenance & water efficiency. R/V Parking. NO HOA. Painted & wood grain tile floor throughout! Kitchen Granite Countertops & 2 panel interior doors. New cabinet fronts & pulls, fixtures & blinds. Will pay $2,000 towards Buyers costs!